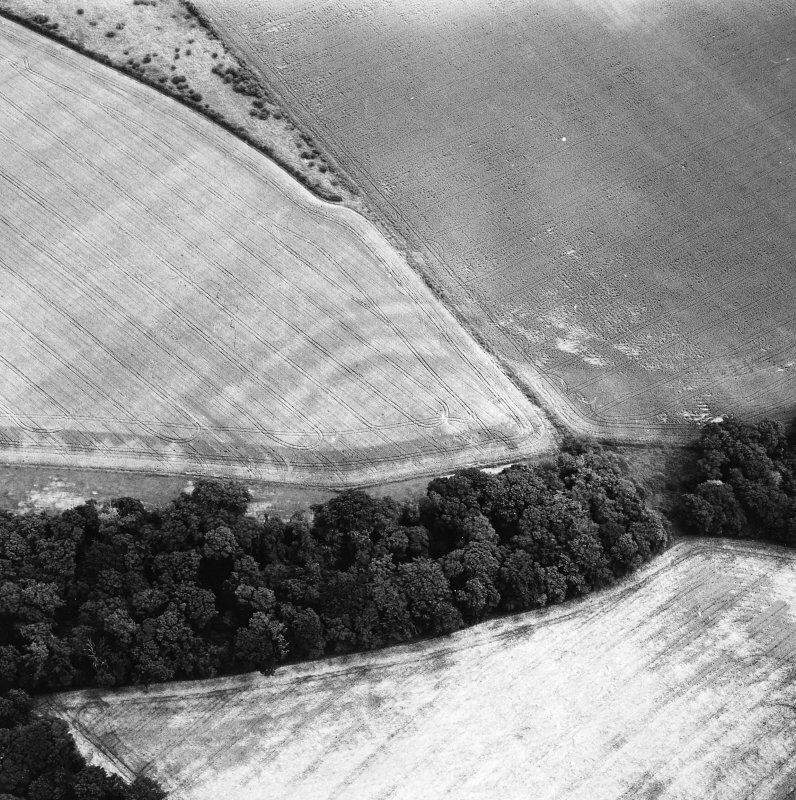 Redhouse Dean, oblique aerial view, taken from the SSE, centred on the cropmarks of a fort. 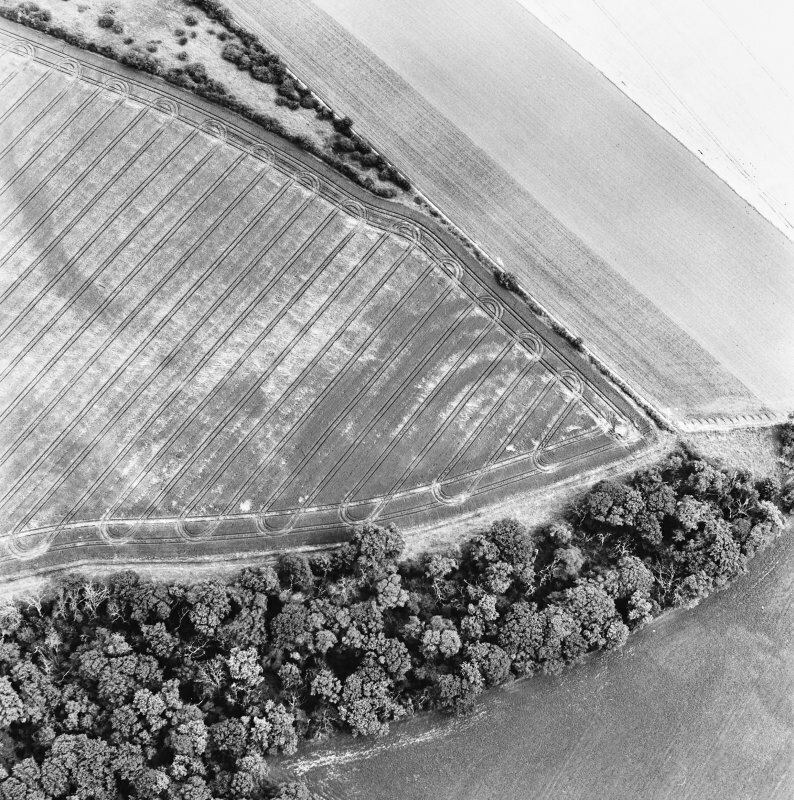 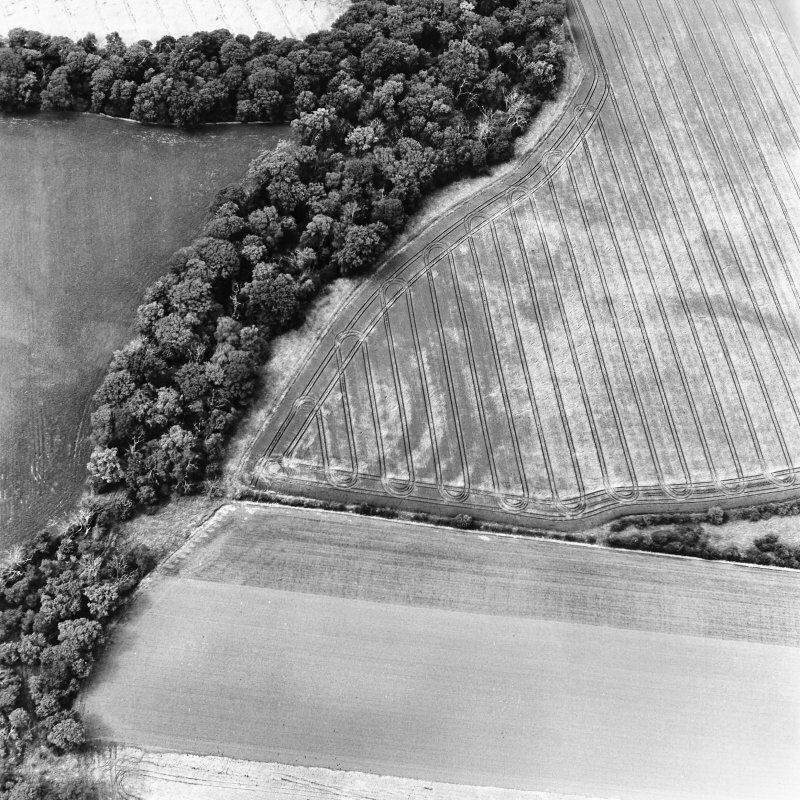 Redhouse Dean, oblique aerial view, taken from the ENE, centred on the cropmarks of a fort. 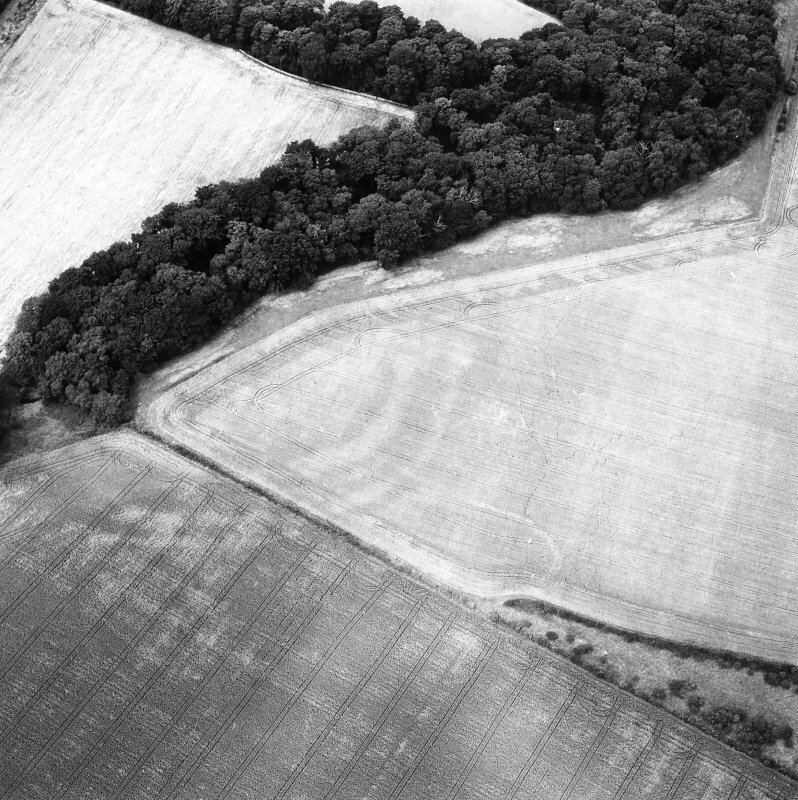 Oblique aerial view of Redhouse Dean fort. 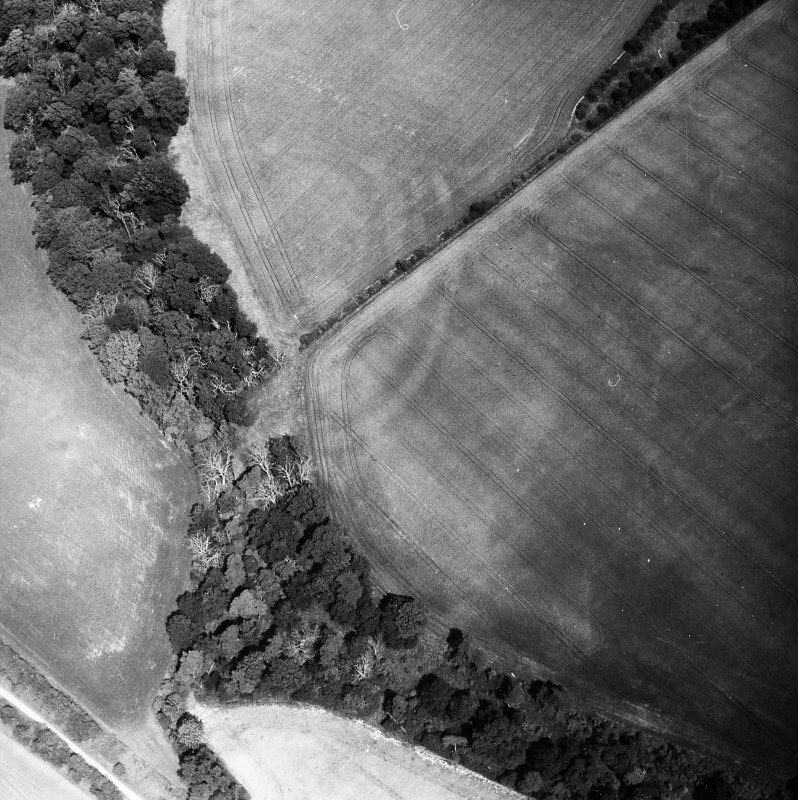 Redhouse Dean, oblique aerial view, taken from the N, centred on the cropmarks of a fort. 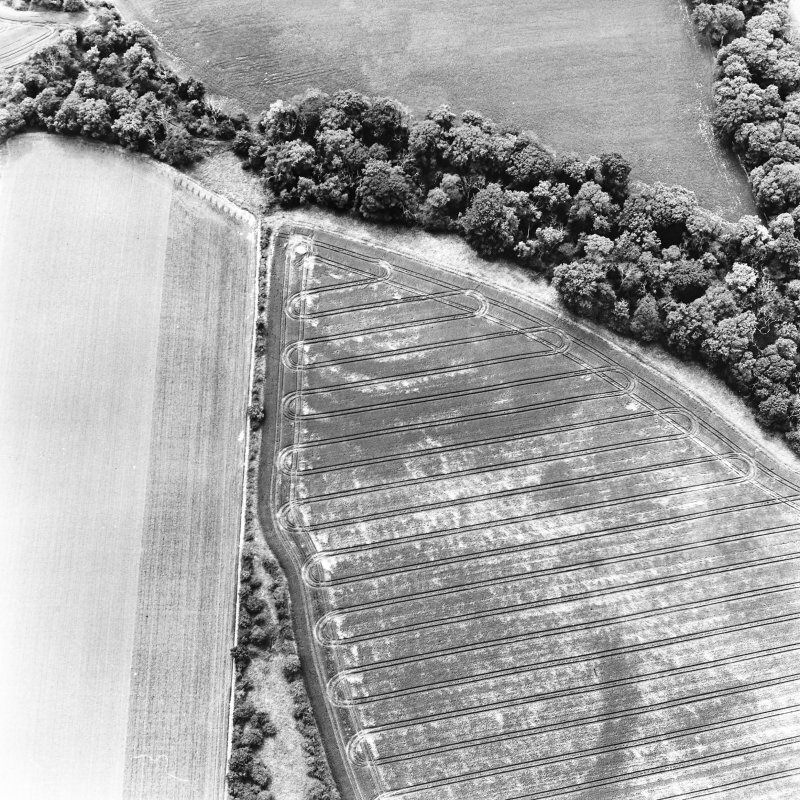 Redhouse Dean, oblique aerial view, taken from the NW, centred on the cropmarks of a fort. 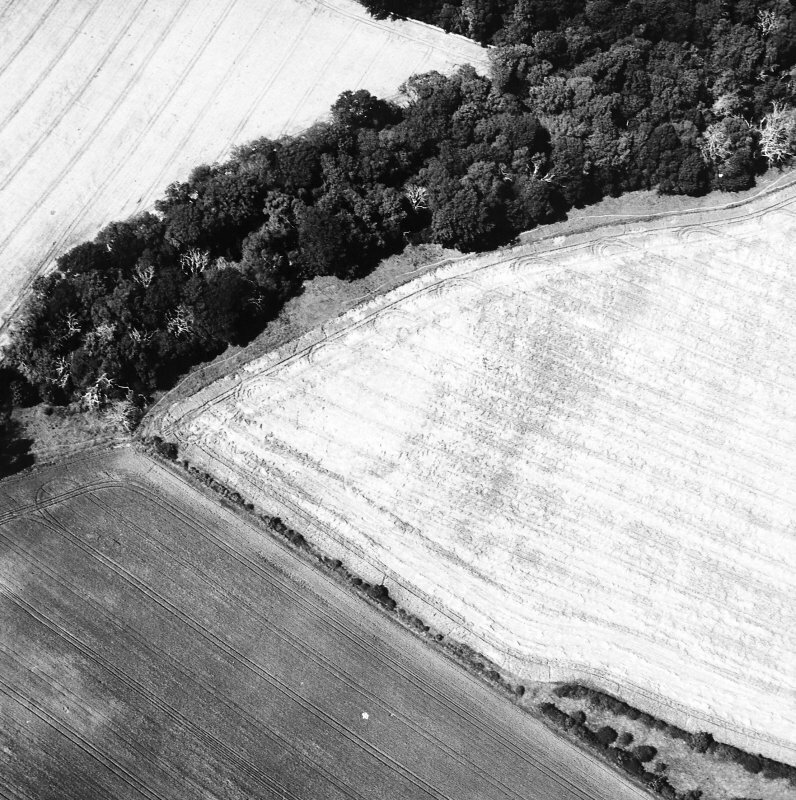 Cropmarks have revealed a fort on the gently sloping ground above the natural escarpment forming the E flank of Redhouse Dean. 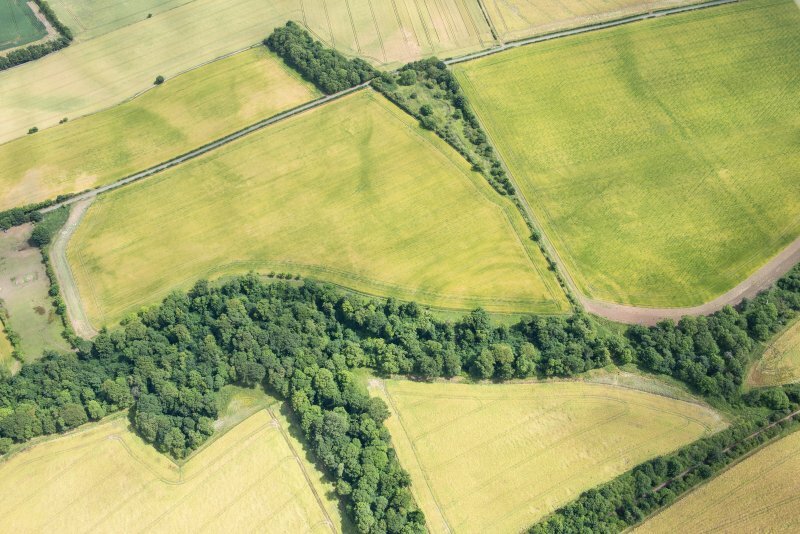 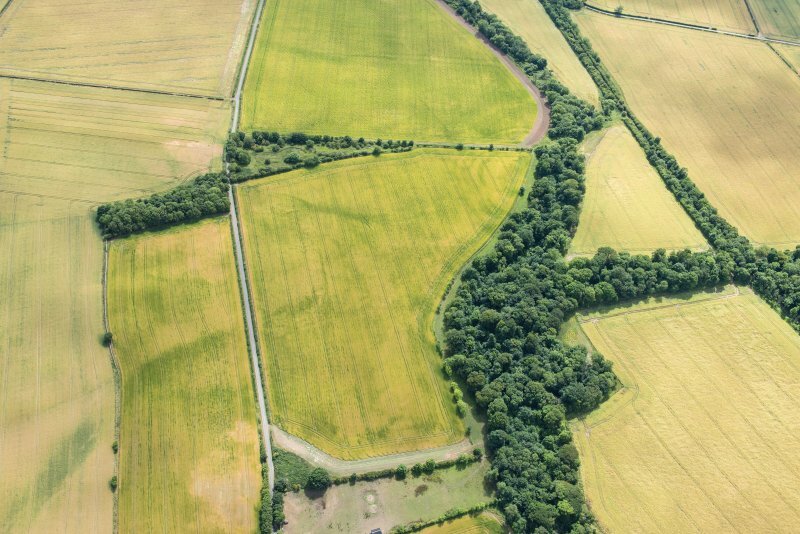 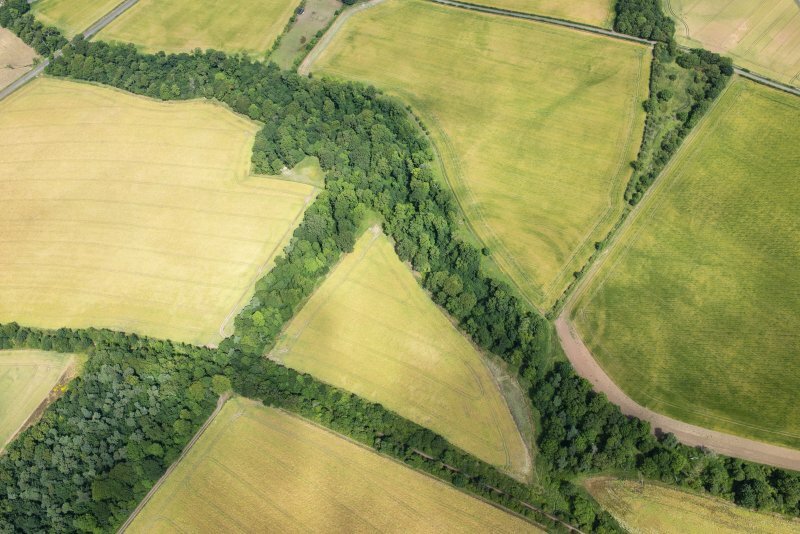 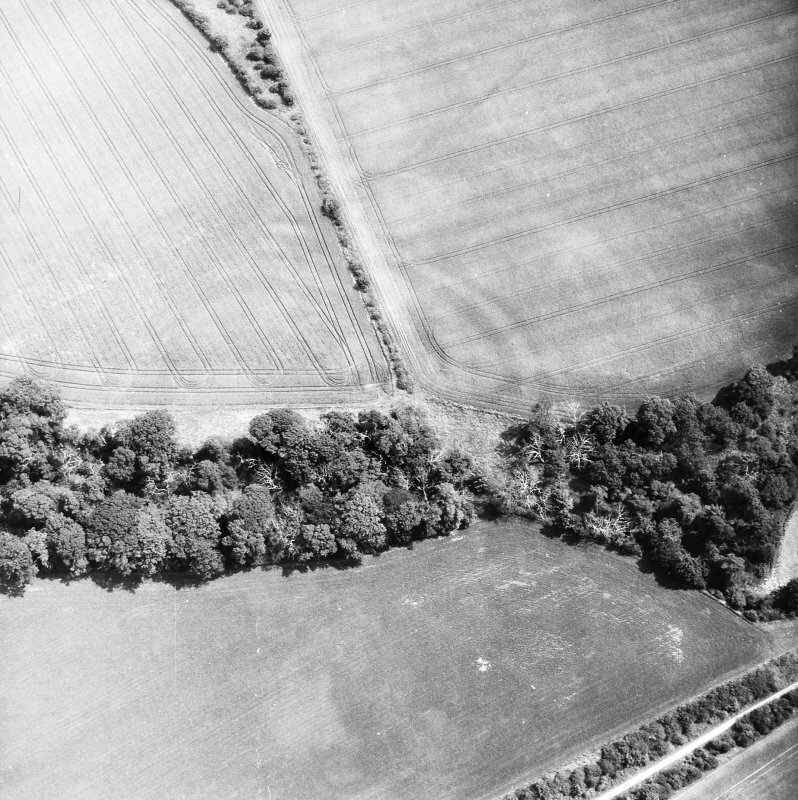 D-shaped on plan, its defences comprise an arc of three or four ditches between 4m and 8m in breadth backing onto the escarpment on the W to enclose an area measuring about 115m from N to S along the chord by up to 55m transversely (0.48ha); allowing for the presence of an inner rampart the interior extends to about 0.36ha. 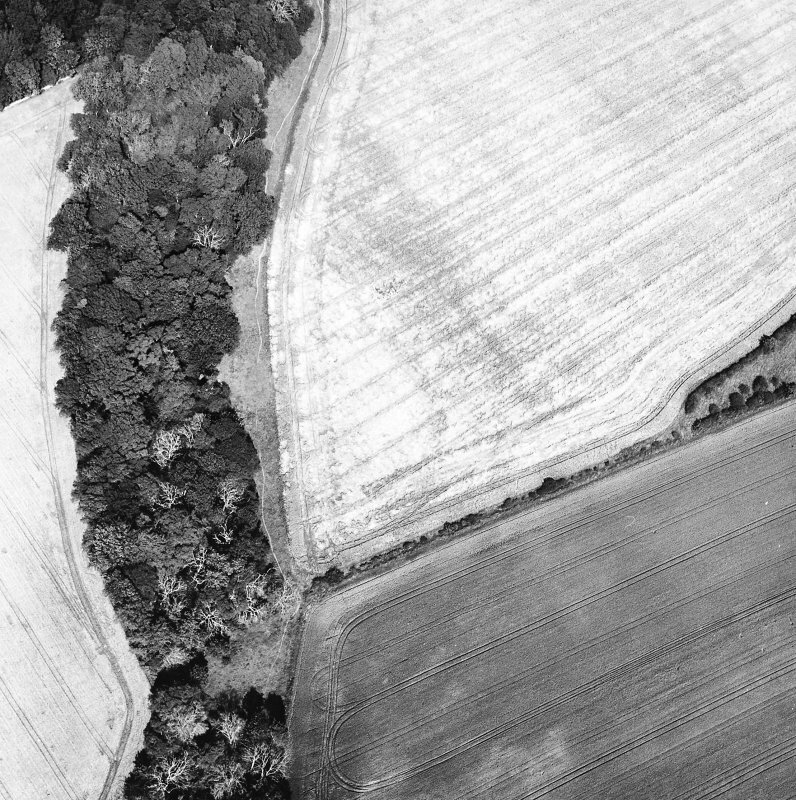 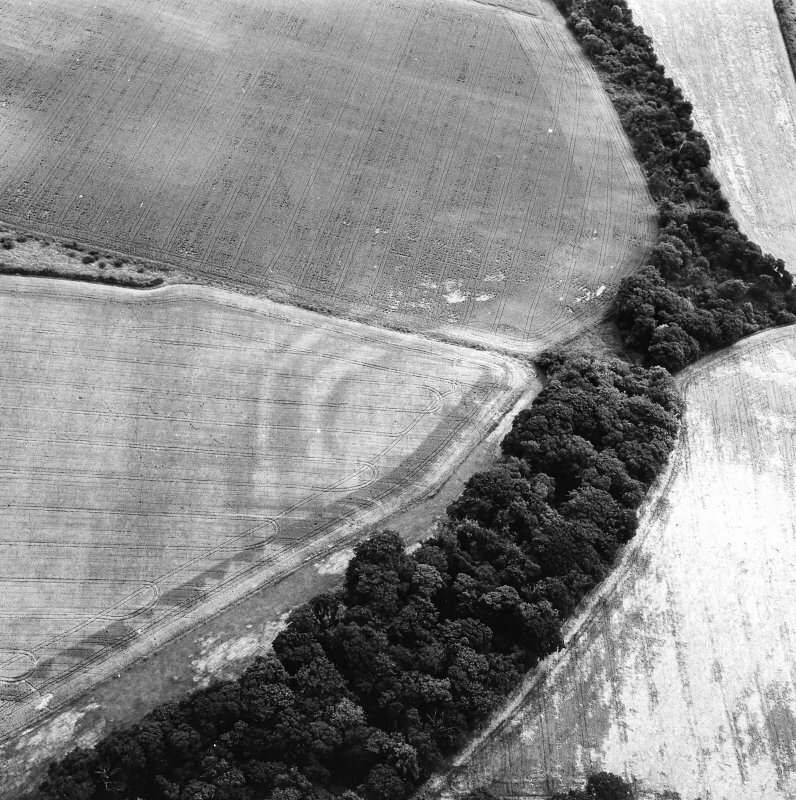 Rather than being strictly concentric, however, ditch two lies eccentrically between the innermost ditch, ditch one, and the outer pair, suggesting that the palimpsest revealed by the cropmarks is the result of a complex sequence of construction. 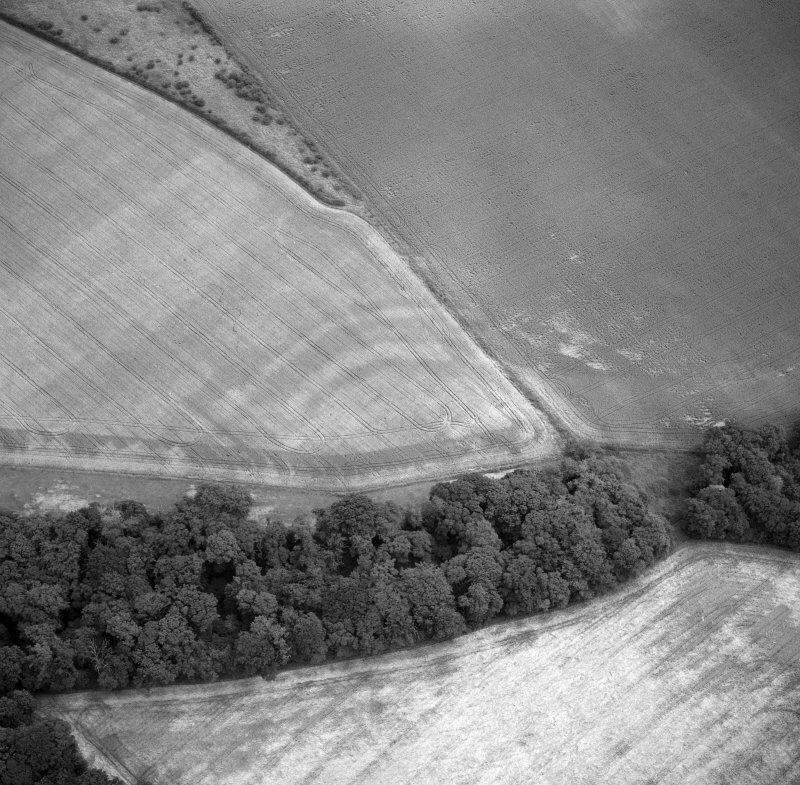 In detail, the outer pair, ditches three and four, are concentric and presumably contemporary, but around the the NE there is little evidence of any gap for a rampart between the inner of them and ditch two, so much so that in places they form one broad mark some 13m in breadth. 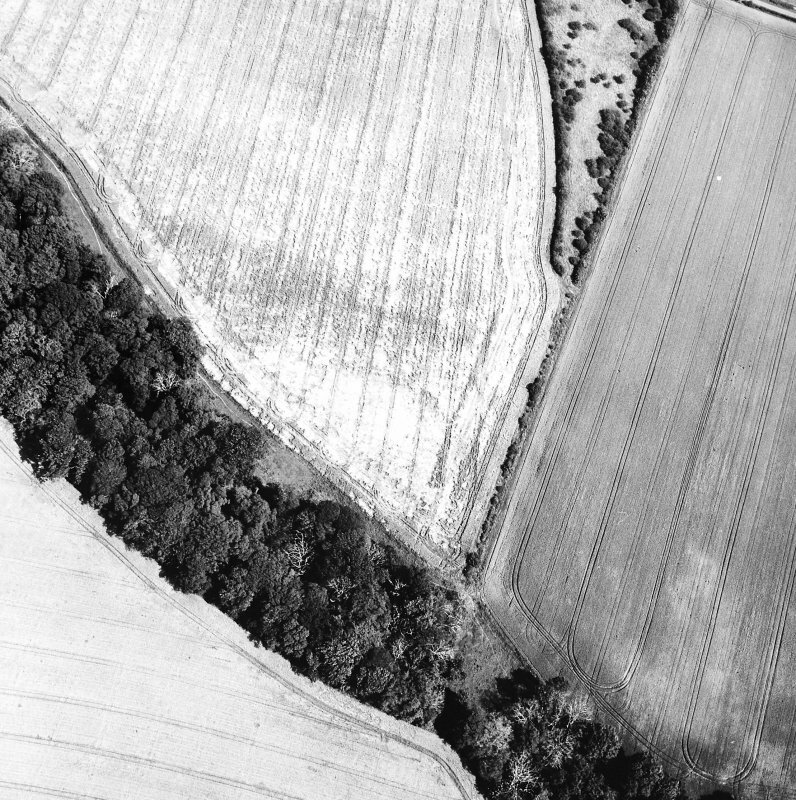 On the SE, however, ditch two diverges, and though its precise line is obscured by the field boundary, its projected course sees it converging, and possibly merging with the innermost ditch. 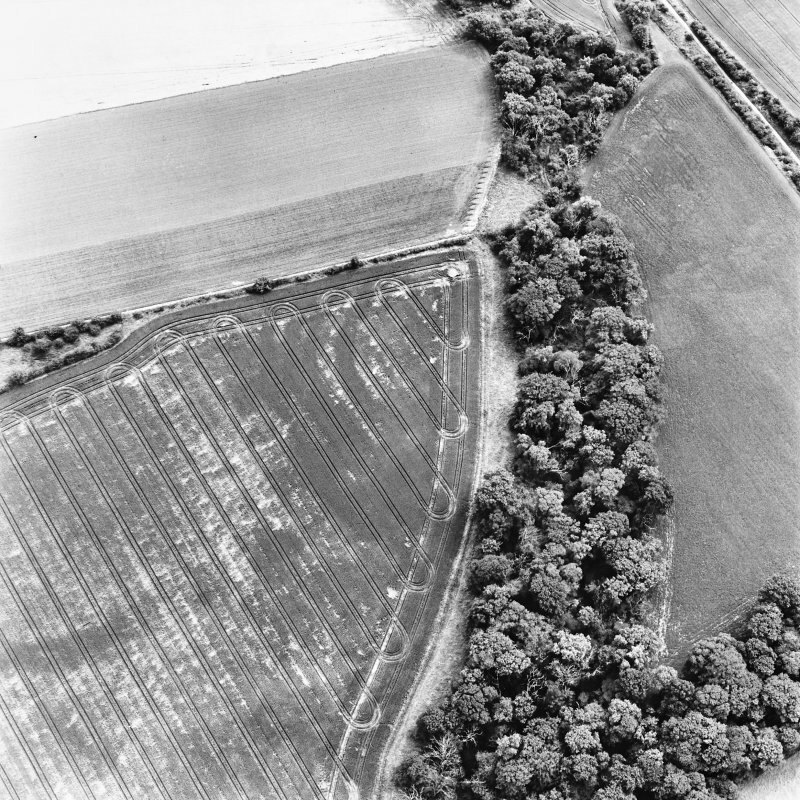 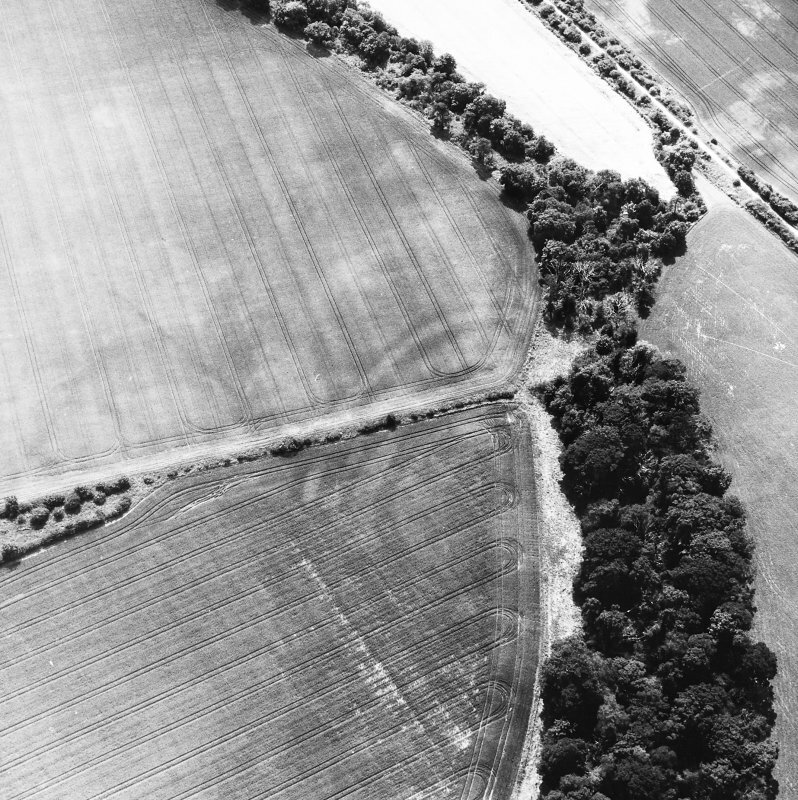 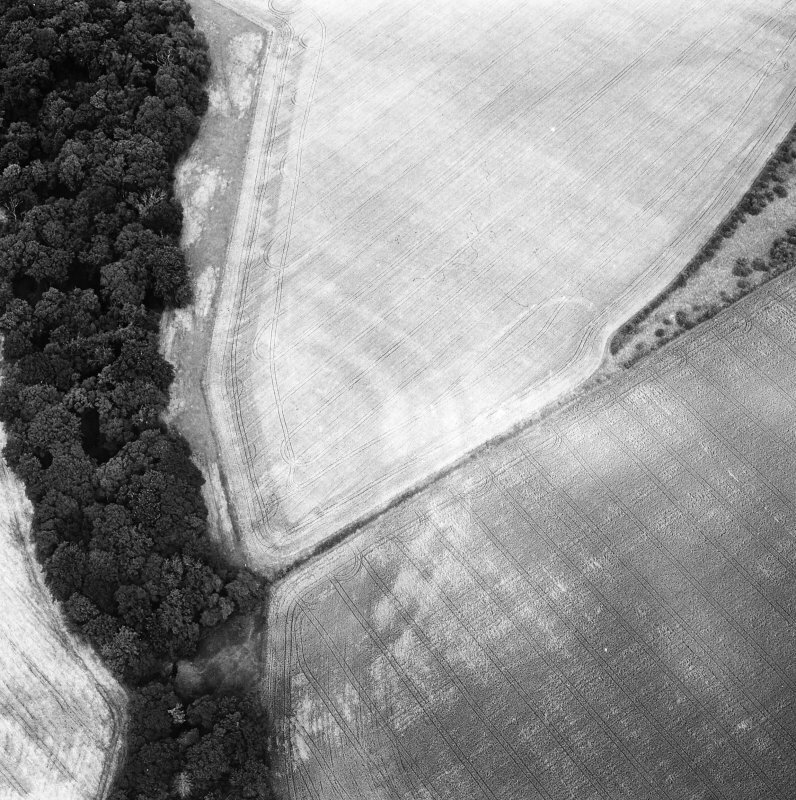 The cropmarks on the photographs currently available are too diffuse in the critical sectors to clarify these relationships, but if they are confirmed by fieldwork they suggest a sequence of at least three phases, represented respectively by the innermost ditch, ditch two, and the outer pair. 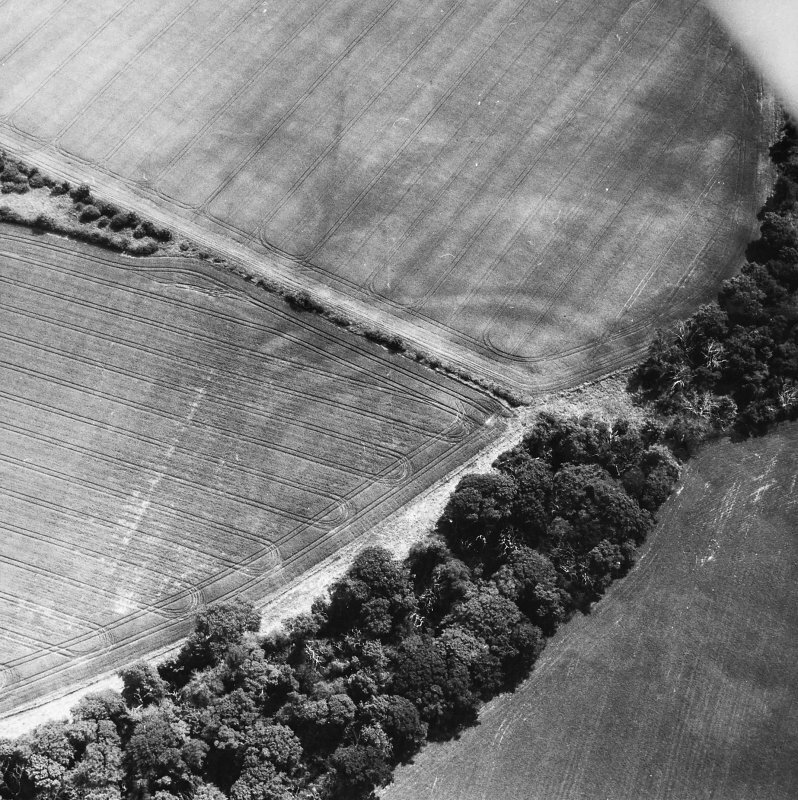 The precise layout of the defences around a probable entrance on the NE is also unclear and there are no features can be discerned amongst the marks within the interior.